The Ultima 5 is a dual channel device with 5 different modes and 2 wave form adjustable. 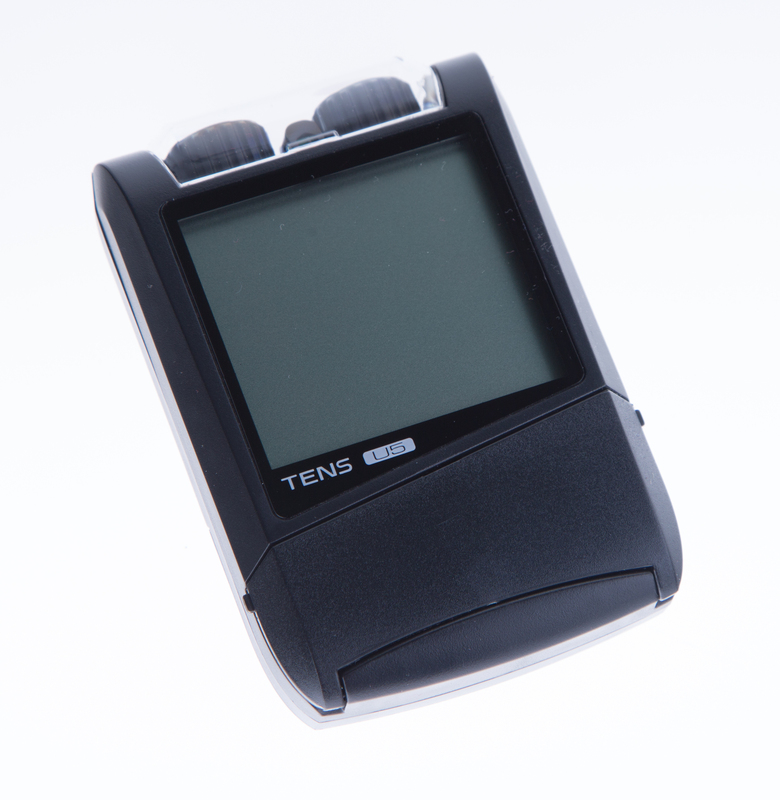 TENS machine treats many kinds of pain. 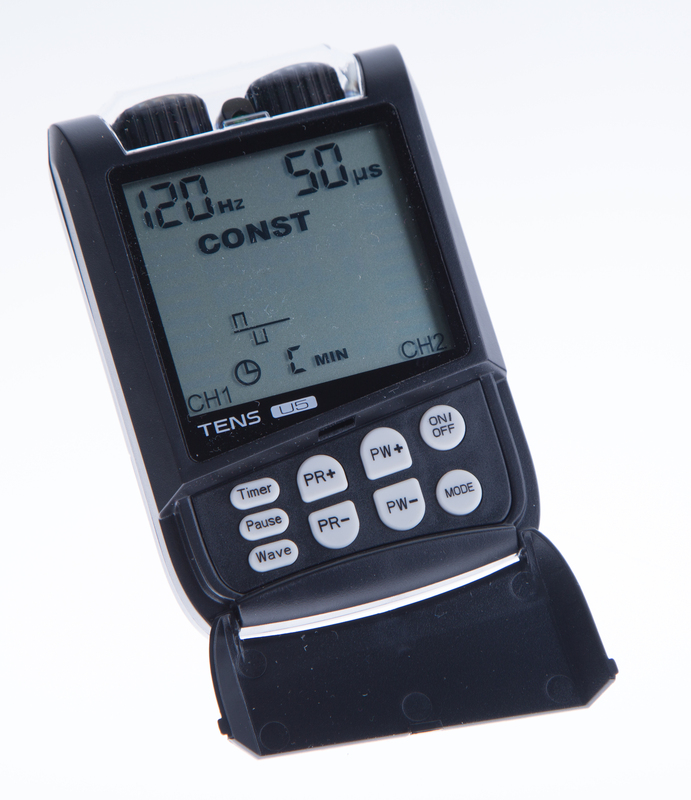 The TENS nerve stimulator can help lessen acute (short-term) pain, like after surgery or an accident. Chronic pain (long-term), like arthritis, back or muscle pain, or cancer pain may also be lessened with tens electrotherapy device. Some people have trouble taking pain medicine. TENS is a safe, drug-free way to help control pain for these people as well. Patented pain-relief technology for treating sore muscles and joints and to relieve recent bruising and muscle pain where injury is relatively superficial such as sports related muscle strains. 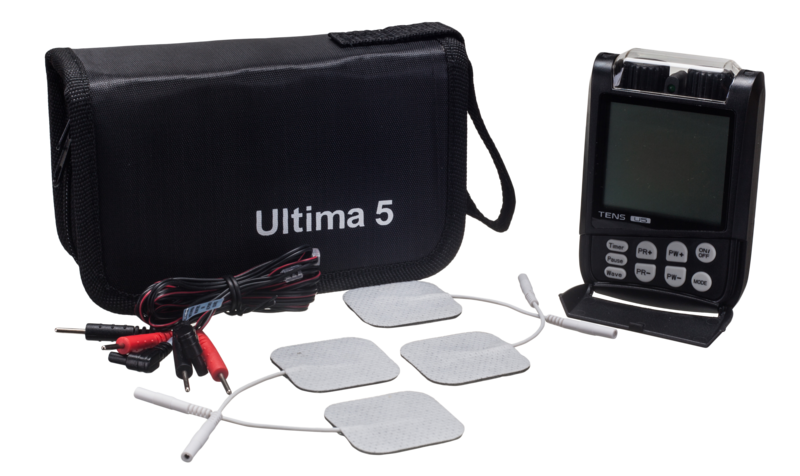 The Ultima 5 TENS device comes with a 5 year Warranty against mechnical defects. 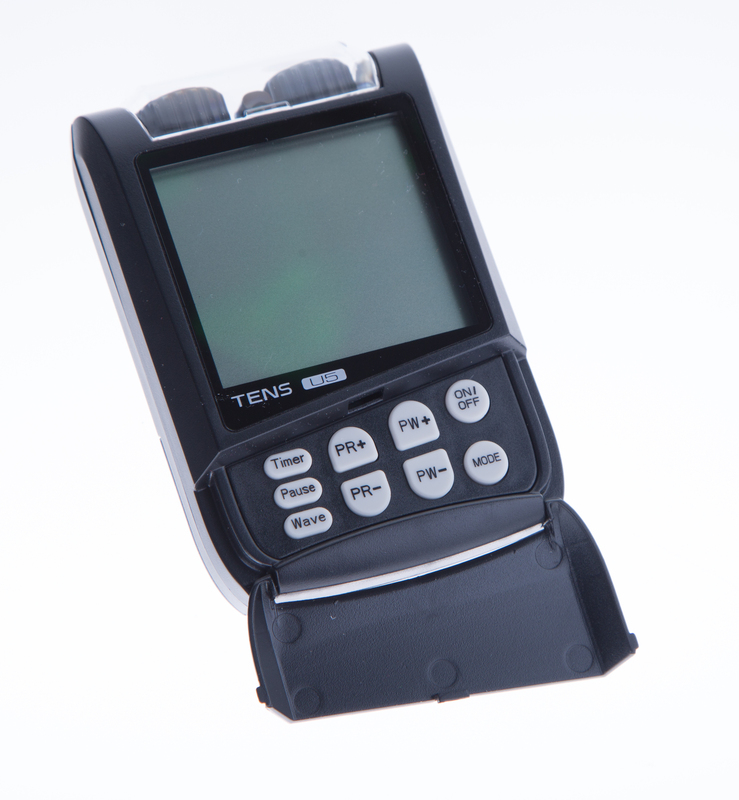 The handheld neuromuscular stimulation device comes ready-to-use with 1 pack of 4 electordes (each disposable electrode lasts 10-15 treatments), a 5 year limited Warranty against mechanical defects, 2 Industrial Strength AA Batteries, Pair of lead wires, carrying case, belt clip, and user manual. Remember: Pain is the body's means of warning that something is amiss. 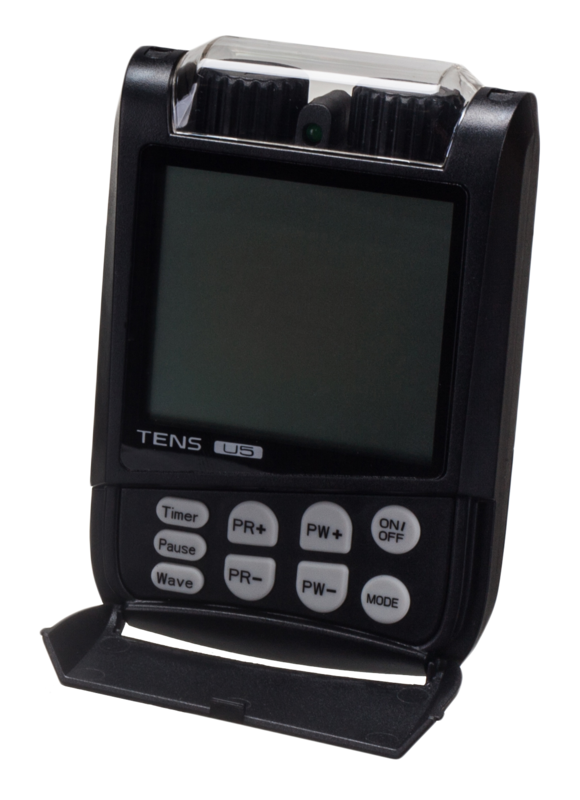 Before using any HealioHealth Pain Management Technologies TENS unit, you should establish the source and cause of your pain. Contraindications: HealioHealth Pain Management Technologies TENS units must not be used by patients using a demand-type pacemaker. Electrodes should NOT be placed at the front or side of the neck. Units should NOT be used when driving or operating machinery. Precautions: Pregnant women and patients who have heart disease or epilepsy should seek medical advice before using HealioHealth Pain Management Technologies tens nerve stimulator. NEVER use HealioHealth Pain Management Technologies TENS or any other method of pain relief to mask undiagnosed pain as this could require urgent treatment. Operation : 1.When mode changes:::the intensity will automatically go down to zero;2.When the unit is turned on:::it will automatically enter the mode that the unit had worked in before the unit was turned off;3.When the pulse rate:::pulse width or intensity is being adjusted:::the auto-repeat function is available4.When the batteries are low:::the symbol of battery is flashing in 2 Hz indicating that the batteries should be replaced;5.Automatic shut off: When the unit intensity levels are 0 on both channels:::and it has not been in use for 5 minutes:::the unit will be shut off automatically.